The ZS2EZ zhack is located in a room that forms part of a flatlet at the family home in the residential suburb of Walmer, Port Elizabeth. Our family have occupied this house for the past 59 years. 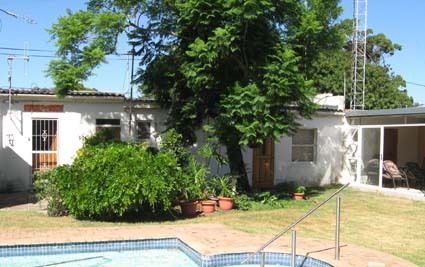 The flatlet is against the boundary wall of the property, and the shack is at the end closest to the house (and directly alongside the tower). There is a bathroom in the middle, and the bedroom is on the left. The Shack PC - An Intel i5 with 8Gb RAM, Running Windows 10 64 Bit.